Mettler Toledo Micromate CM6500ss-MM Hi Speed Check Weigher System & Controller . New Life Scientific, Inc. 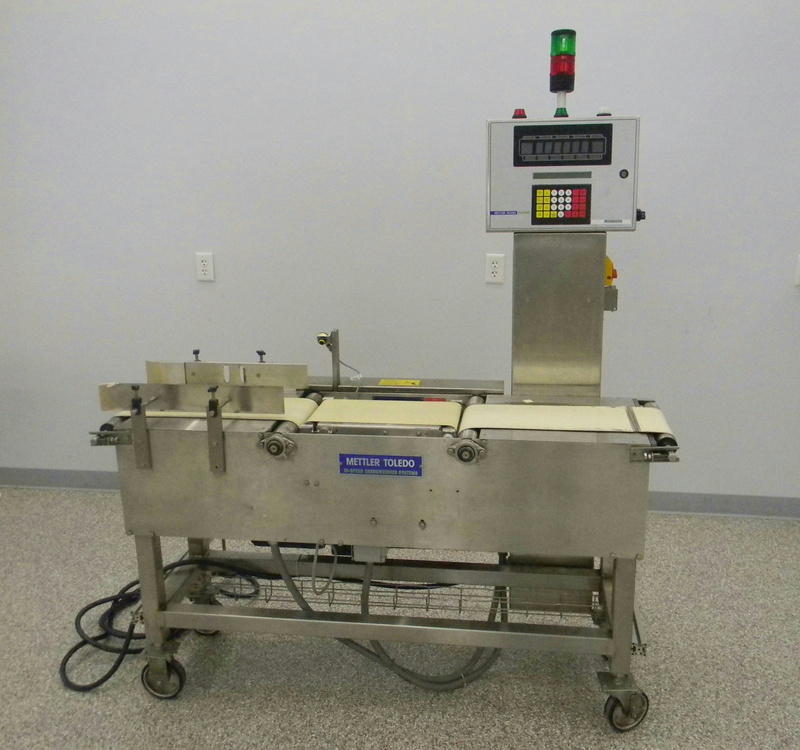 This Mettler Toledo high-speed industrial packaging weight checker is in good cosmetic condition. There are minor scuffs and marks on the body, but they have no influence on the mechanical integrity of the system. All wiring for individual conveyor components is intact, but an electrician should be consulted to install this instrument. The check weigher will be sold as-is for parts/in need of repairs, because the technicians cannot confirm this checkweigher is functioning as intended. New Life Scientific technicians wired this instrument into the technical shop's electrical system for testing purposes. The technicians were able to navigate all settings, but they were unable to recover any weights. This conveyor belt operates and the sensors appear to recognize movement. This system is all stainless steel and would be great for food or make-up production. Because we could not get any weight measurements and were unable to troubleshoot this issue, this product will be sold for parts or repair. The technicians do not have any model literature for mechanical guidance and limited experience with these systems. First Entrance belt: 21" x 8"
Weighing belt: 16" x 8"
Exit Belt: 21" x 8"